Is there enough evidence to prove Global Warming? If so, is Global Warming causing an increase in tornadoes and hurricanes? Is the increase in tornadoes within the past years due to this perceived or real trend of Global Warming? Everyone by now has heard of Global Warming. Many are sure that it is happening. Others see this as a normal, cyclical event not tied to human activities like industry and cattle farming. 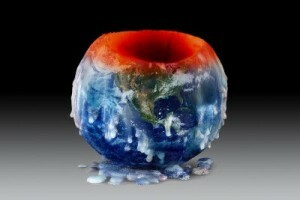 What are the facts behind Global Warming? What are the facts behind global warming? I live in what is called Tornado Alley in Kansas. On one day alone, of all days, April 15th, 2012, there were 97 tornadoes reported in the state. That’s 97 tornadoes in one day in one state! Kansas averages 57 tornadoes a year but on one day alone it was almost double the average number of tornadoes for a year and in fact in less than a day, 13 hours. Ironically, as I wrote this, there were 5 tornado warnings on my radar screen on the Internet with two south of us and three west of us moving east-northeast. Kansas averages 57 tornadoes in an entire year and as of this date, still in the spring, we have already had 168! People are beginning to ask, “What is happening!” Good question. Is it attributable to Global Warming? Is Global Warming even true or is the weather in the world cyclical? In the last two years, the number of destructive tornadoes has ballooned to all time highs and records seem to be set each and every year. A more important question here is if there is a connection to our weather and Bible prophecy? There are droughts that are also simultaneously occurring around the globe and what were the causes of droughts in the Old Testament prophecies? In Deuteronomy 28:23-24, droughts were seen as a judgment of God from a nation’s failure to obey His laws, “The sky over your head will be bronze, the ground beneath you iron. The Lord will turn the rain of your country into dust and powder; it will come down from the skies until you are destroyed.” This sounds a lot like the Dust Bowl of the Great Plains in the 1930’s. Where floods occur in one area, droughts often occur in others. Even Jesus Himself warned of such weather upheavals prior to His return in Luke 21:25 where He said that there “will be signs in the sun, moon and stars. On the earth, nations will be in anguish and perplexity at the roaring and tossing of the sea.” Indeed, we are already seeing “great earthquakes, famines and pestilences in various places, and fearful events and great signs from heaven” (Luke 21:11). Jesus continued in Matthew 24:11-14 saying that “many false prophets will appear and deceive many people. Because of the increase of wickedness, the love of most will grow cold, but the one who stands firm to the end will be saved. And this gospel of the kingdom will be preached in the whole world as a testimony to all nations, and then the end will come.” Once again, we have seen the love of many grow cold, false prophets abound, and the gospel has been preached around the globe, even though not everyone has heard it yet, but notice that Jesus did not say everyone would hear the gospel but that the gospel would be preached in the whole world and then the end will come. Today with the Internet and satellites, the gospel has penetrated into the whole world. In Matthew 24:29-31 He gives a final warning that, “Immediately after the distress of those days“ ‘the sun will be darkened, and the moon will not give its light; the stars will fall from the sky, and the heavenly bodies will be shaken.’ “Then will appear the sign of the Son of Man in heaven. And then all the peoples of the earth will mourn when they see the Son of Man coming on the clouds of heaven, with power and great glory, And he will send his angels with a loud trumpet call, and they will gather his elect from the four winds, from one end of the heavens to the other.” Jesus is now talking about the heavens and the earth, the moon and the stars (meteorites?) being shaken. That is when the sign of the Son of Man comes and when all of the elect are to be gathered to Himself. This time is unknown to us as even Jesus said, “about that day or hour no one knows, not even the angels in heaven, nor the Son, but only the Father” (Matt 24:36). We need to seriously heed Jesus’ final warnings to those who believe they are Christian but are not truly regenerated by the Holy Spirit. I beg you to take seriously Jesus’ warning in Matthew 7:21-23 that “Not everyone who says to me, ‘Lord, Lord,’ will enter the kingdom of heaven, but only the one who does the will of my Father who is in heaven. Many will say to me on that day, ‘Lord, Lord, did we not prophesy in your name and in your name drive out demons and in your name perform many miracles?’ Then I will tell them plainly, ‘I never knew you. Away from me, you evildoers!” How heartbreaking that will be. Many who thought that they were good people who did a lot of good things thinking that they were going to heaven will hear instead, depart from me for “I never knew you. Away from me, you evildoers.” Away they will go into outer darkness and forever be separated from God. Many who thought they were going to heaven will have the worst news they could ever hear. The signs of Christ’s return are everywhere; in false preachers and their false gospels, in natural catastrophes, in the love of many growing cold, in the anti-Christian bias, in growing anti-Semitism, and as they were saying in Peter’s day, “They will say, “Where is this ‘coming’ he promised? Ever since our fathers died, everything goes on as it has since the beginning of creation” (2 Pet 3:4). Today skepticism over Jesus’ return is at an all time high but listen, you have the power to choose life or to choose death. Today is still the day of salvation (2 Cor 6:2) but tomorrow it may be too late. If you were to die tonight in your sins, you would be lost forever. There is no need for this. Come now and place your trust in the Savior today while it is still called today. Believe in the Lord Jesus Christ and place your faith in Him and you will be saved … come hell or high water. There is nothing more sure in this world than that. That is my prayer for you at this very moment. Interracial dating and marriage Jack Wellman examines the question of whether or not the Bible addresses this issue. Politics and the Christian Jeff Telling shares a conversation that he had with a friend on the topic of controversial politics and how a Christian should examine issues before they cast a vote or endorse any one in government. Are Natural Disasters from God? Tsunami’s, earthquakes, volcanic eruptions, hurricanes, tornadoes, fire, droughts, and floods or any other natural disaster you can bring to mind. See how Pastor Jack examines what the Bible has to say about these things. As usual, you will read about the hope and safety we have in God too. Regarding global warming I look back to “climategate” where the scientists that are actively researching global warming have been caught fudging the data, deleting the data, and then flat out lying. One for instance was when a photographer claimed he had photographed numerous polar bears that were stranded out at sea and would surely die. Upon close examination of the photographs in question it had been determined that the photos were really the same group of bears taken from a multitude of different angles. I firmly believe that global warming has absolutely nothing to do with saving the earth and more to attaining power over people. After all who would dare be pro litter or pro global warming? Think about how many different businesses are tied to global warming and how they convince the government that the old technology is bad and how laws need to be passed to force people to become “green”. Case in point, the incandescent light bulb, it is now against the law for any company to manufacture these, people, by law must buy the new improved lightbulb. One little fly in the ointment, do not drop or break one of the newer bulbs because they are loaded with mercury! Now can anyone in their right mind convince me that these bulbs are actually better? The global warming scam is nothing but a way for certain companies to make money and for the government to exercise even more control over the populace. Regarding end times, I have a nagging feeling that this could be happening right now. Wars, rumours of war, ie: Iran, Israel, famines, Africa, false messiahs, too many to count, apostasy of the church is rampant, whether it be to be more “inclusive” or to attract new “pledging units”, the church is indeed in crisis. As a matter of fact the church that I currently attend is closing due to lack of new parisioners. Throughout the world Christians are being persecuted, or hunted down and slaughtered, Egypt comes to mind, in the US the federal government is doing their level best to marginalize Christianity, our president makes the declaration that the US is no longer a Christian nation, to great applause!! Oh yeah, Jesus is definitely coming again and he can’t be happy with what is going on not only in the US, 53 million people butchered via abortion, but around the world as well. Now I’m not saying Jesus will be coming in the next few days or months, however, I keep my toothbrush packed none the less!! Wow, what an amazing comment my brother Chris. The interesting thing about this article is the day that I started to write it, we had nature’s fury knocking on our very real door step. We had one tornado SW of us, one West of us and two to our South and two of them were heading directly toward us so I had to finish this after we came back from our shelter. I sense the feeling too my friend. What a tension we live in today. In this day of trouble and turmoil among and in nations and amidst nature itself as if nature itself were groaning for the eager expectation of His arrival. The tension between the not yet and soon to be. I feel it as you do. To me, this is all the more reason to proclaim the gospel to a lost and dying world about His soon coming when the harvest sickle starts the harvest of judgment. I pray this emboldens me to more earnestly and urgently share the gospel, not fearing man, but in fear of God for those who soon will be judged. Either by a Savior at the BEMA Seat or the Judgment Seat of God where the terrible swift sword of His wrath will appear. That is the time that as a pastor and witness of Christ I will be unemployed in that field forever. Thank you sir. Sorry to ask but don’t you think Chris sounds a little like a conspiracy theorist? I mean global Warming is happening and is undeniable, I just ask because he says that Global Warming is a scam which is untrue due to melting ice caps and just as you said the weather we are facing nowadays. He also says scientist fudge the data, which I don’t believe is true. Would’t you say he sounds kind of like a conspiracy theorist rather than an honest man? I am not sure about what you said but the real point of this article was to draw attention to the fact that we are to be ready for His return. The weather adversities are, in my opinion, designed to point to Jesus’ soon return. My desire was to see the world’s events in the biblical worldview of being ready for Jesus Christ, Who could certainly come at any time and to be ready. If anyone reading this has not placed their trust in Jesus Christ, they are going to meet Jesus as Judge, but those who are His own, will meet Him as Savior. Thank you for your comment my friend. Hi Pastor Jack. I find your articles wonderful and timely. For one we have reached that stage that I would call rehersal stage. And if I was to put it in biblical terms to remind the reader the times we are living in, then Romans 13:11-14 is what to go by. In summary it says our time of salvation is near than the time we believed hence we should cast off everything that does not please God and seek His righteousness getting ready for His coming. What tells me the time is near are the happenings which Jesus termed as last signs which people are calling wonders as the scientist looking for terminologies to brand these strange happenings. Although Jesus said as you quoted above that no one knows the day apart from the father, He had already indicated the time if you so read that verse between the lines. so we can tell whether we are in the last days. Paul stresses this in 2 Thessalonians 5 that even though Jesus said He will come like a thief at night, meaning His coming will get many unawares like a thief strikes. But to those that are born again and living according to His will shall be knowing the time of His coming since they are not the sons of darkness (they will be awake and aware by interpreting the sighs). They are able to get the revelation of the events taking place and tell the time. melting of iceberg somewhere in the sea is causing the water masses in the ocean to rise hence the coastal town, it beautiful beaches will be no more. In an area called Nyahururu my home area, a whole cloud of ice block measuring 2km square has fallen twice from heaven killing animals coz its a grazing area, isnt that a wonder?. Some regions in the country are flooding and people loosing lives, whereas other areas in the same country experiencing hunger due to draught. Rumours of war are everywhere. Our soldiers are in Somalia fighting alshabab an affiliate of Al queda. False prophets, impostors, all coming in sheep clothing calling themselves messiah. Here we have Jehovah Wanyonyi and people worship him. Love of money and worldly pleasures other than loving God. All these are signs that tells us its about time Christ comes for His church. Let us not forget one day to God is like a thousand days and a thousand days are like a day to Him. HOW READY ARE WE? Mr, Chege, I am so overwhelmed by your faithfulness to the Scriptures and your joy in awaiting His return. What an awesome post and what an awesome believer in Christ you are. You truly have your priorities straight and I thank God for you my friend. Yes, the signs are everywhere and as you said, we must be ready at all times and not wait for today could be the very day of His return and for those who don’t know Christ, let today be your day of salvation (2 Cor 6:2). Amen my friend Mr. Chege. Please grace us again soon with more edifying comments. You bring me joy. You are welcome Pastor. I will continue to give my views according to the grace of God for His truth and for His Glory. I found this article just in the right time. I have been struggling so much lately with questions, faith and hope. The devil is so wrought with God’s people and he is on the rampage to kill and destroy. Sometimes as Christians we need a jolt, a reminder. This article gave me that jolt today. So many times we just live everyday doing what “we think is right”. We forget to ask God for our missions and His help to do what He has for us to do. I myself do this. a reminder that we are on His playing field and not our own is needed. Thank you for you reminder, in today’s world their are so many doctrines. We need to ask the Holy Spirit to help us as Christians for discernment and not to get carry away with false doctrines. Keep doing what you are doing it’s not just sinners that need to hear these things but Christians too. The sun shines on the just and the unjust too. I am so thankful to God that you found us and your comment is truly edifying and encouraging my friend. I thank God for believers like you. This article’s intent is to point people to the fact that God is sovereign over all and that we need to think of our own mortality and what purpose there is on this earth for you. You nailed it spot on the mark when you said, “We forget to ask God for our missions and His help to do what He has for us to do” and…you said, “We need to ask the Holy Spirit to help us as Christians for discernment and not to get carry away with false doctrines” to which I doubly say, amen and amen. Please come back again soon and leave more of your wonderfully encouraging comments me friend. We need those who bring light to us by their words, such as you! I don’t agree with 100 % of some of the denominational statements on this cuttingedge website, but over the years I find the links and information here is enormous and may be worth a peek. My understanding is that these weapons if they exist can kill anything from 1 inch to whole cities etc Also that it can spread disease and has a form of mind control. I know in my life time the weather has changed…the hurricanes seem to have a mind of their own..
Wow…pretty amazing. I will look at these more in depth. The good news for us is that we have nothing to fear, even if we walk in the valley of the shadows of death…we can fear no evil for He is with us (Psalm 32). Thanks Pastor. Previous post: Are Faith Healers Real? Why Don’t They Often Visit Hospitals?